A journey of a thousand miles begins with a single step. It started as a simple thing two years ago but now it has become a custom to award students who do well in their respective institutions as a way of motivating them. The awards were given to three best students from each of the four classes in the secondary school, three students in all trades at the technical schools, two to most disciplined individuals in the campus and six more to the outgoing Electrical Installation students who have been here since 2009. These students were selected looking at their performance in class as well as discipline. These awards they have received is one way of motivating the students to work hard in class and to live exemplary to their fellow students. In his remarks Fr. Mario Pacifici said students should always live exemplary life and that they must work hard in class in order to achieve their goals. Fr. Mario also thanked the six outgoing students and advised them to live with Andiamo HEART meaning they should always show LOVE, JUSTICE among other things. Fr. Mario also thanked the AEI coordinator, Patrick Bwanali for his humility. The AEI Coordinator chose to stay in the office instead of attending his graduation ceremony in Lilongwe. The AEI coordinator in his remarks thanked all the volunteers for the good work they are doing to the students. Amongst the volunteers present was Bruno, leader of Orizzonte Malawi delegation, Dr. Gabriel who is also sponsoring a Form 1 Student who was also among the awardees. Bwanali said AEI does not take this gesture for granted. He also praised the six outgoing Electrical Installation students for both their behaviour and outstanding performance they showed in the past four years. 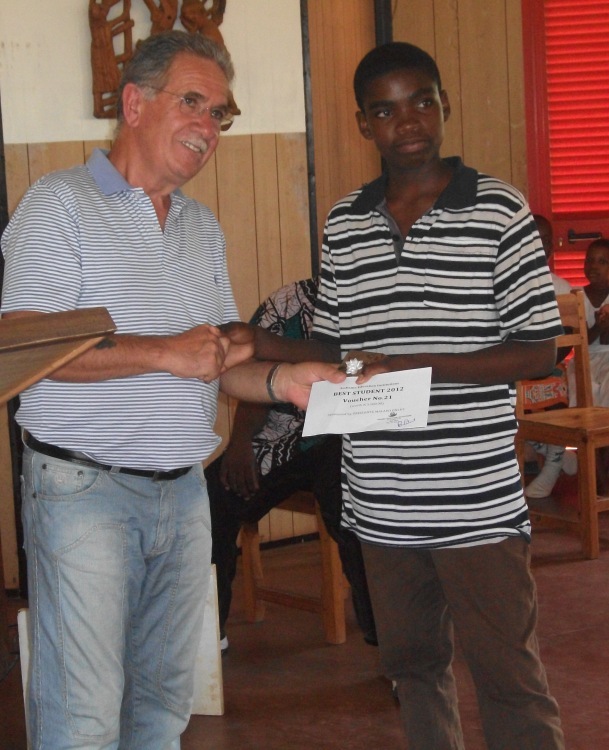 The awards are given every year under the sponsorship of Mr. Leopoldo Comini through Orizzonte Malawi. 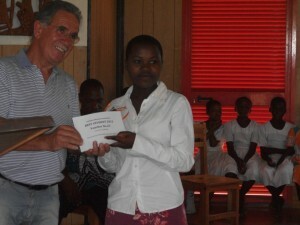 Among the gifts that the students received are two beautiful pens and a voucher. This entry was posted in Education, News from Malawi and tagged Andiamo Education Institutions, Fr.Mario Pacifici, Orizzonte Malawi. Bookmark the permalink.